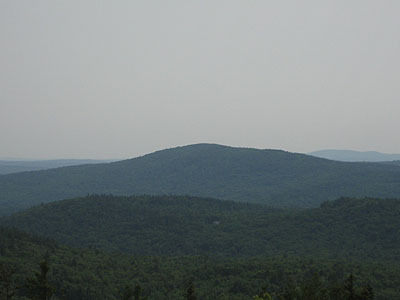 Part of New Hampshire's Blue Hills Range, Parker Mountain features a ledgy, but viewless summit. 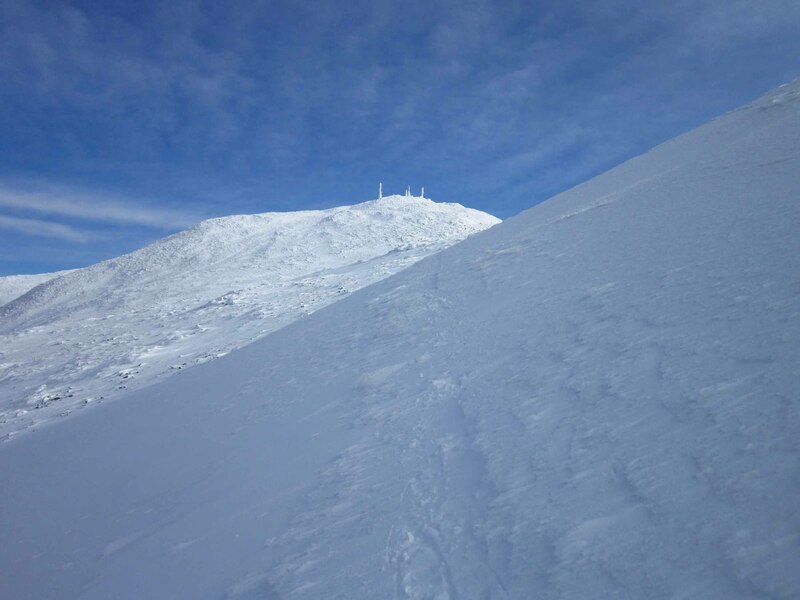 Apparently on May 5, 1946, a small plane piloted by Robert C. Johns, carrying Leslie Louis LeVeque and his wife Elsa, crashed into the northern shoulder of Parker Mountain during rainy/foggy weather. The plane had likely recently taken off from a stop in Portland, Maine, on a trip from Blue Hill, Maine to Columbus Ohio. LeVeque had owned numerous buildings and businesses, including Olentangy Park, Olentangy Lanes (a pioneer in automatic bowling pin setting technology), Olentangy Village, and LeVeque Tower. Upon apparently crashing into a tree (killing the pilot) and then the rocky slope beyond it, the plane caught fire, burning all three. LeVeque and his wife had been married for about two decades at the time of their death.